This tutorial provides step by step instructions on how to generate a CSR code and install an SSL Certificate on Courier IMAP server. 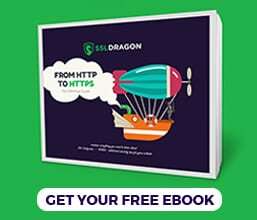 On top of that, the latter sections feature a brief Courier IMP history and useful tips on where to buy the perfect SSL Certificate for your Courier IMAP server. If you’ve already ordered your SSL Certificate and are looking only for installation guidelines, you can skip the CSR generation part. Use the anchor links below to jump between sections. Where to buy the best certificate for Courier IMAP Server? The CSR (Certificate Signing Request) code is a block of encoded text with your contact details. 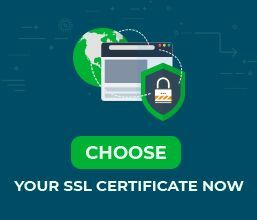 You need to create and send it to your CA to pass the SSL validation. This command will create your CSR request, and the Private Key, which you’ll need later, during the installation process. Country: enter the two-letter code of your country. To open the CSR file, you can use any text editor such as Notepad. You’ll need to copy the entire text including the BEGIN and END tags when ordering your SSL Certificate. Note: If your SSL Certificate requires an intermediate certificate file, open your intermediate SSL cert with any text editor and save it as Intermediate_Cert.txt. You can give it any name. Restart your Courier IMAP Server. Congratulations, you’ve successfully installed an SSL Certificate on Courier IMAP Server. After you install an SSL Certificate on Courier IMAP Server, it’s always wise to scan your new installation for potential errors or vulnerabilities, just to be on the safe side of things. With these powerful SSL tools, you can get instant reports on all aspects of your SSL Certificate and its configuration. Courier mail server, is a mail transfer agent (MTA) server that offers a wide range of mailing services such as IMAP, SIMPA, POP3, ESMTP, webmail, and mailing list. Courier was first released in May 2000, by Sam Varshavchik. The current stable release 0.77.0 dates back to June 23, 2017. Courier is written in C, C++ and, Perl, and runs on Linux, Mac OS X, FreeBSD, and Solaris systems. Where to buy the best SSL Certificate for Courier IMAP Server?